It's no secret sales forecasting can be a struggle. 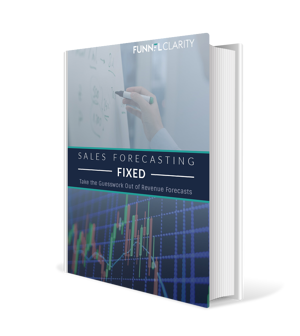 But when done effectively, forecasting helps sales leaders plan. Estimating future revenue allows us to see the path to our goals and enables course adjustments. Using data to justify decisions reduces perceived risk and less risk means more comfort. However, when I ask sales leaders if they trust their forecasting process, far too often I hear an uncomfortable silence followed by an unconfident "sometimes". By definition, forecasting is complex. It asks sales people to predict the best date to put on a buying decision based on the information they have. Yet, there are so many variables that are completely unknown or out of the sales person's control. For example, many sales people never engage with all the buyers involved in a decision, so the information they have rarely represents the entire picture. There’s also often a lack of understanding about the steps that need to happen between all the influencers who need to be involved to finalize a purchase. When you also account for organizational changes that many of us experience in our own companies- putting out internal fires, shifting priorities, responsibility changes- it's no wonder timelines get pushed out or completely disappear from even the most promising sale. So, is it possible to forecast? Yes. And it doesn't have to be so hard. I've seen distinct patterns across many organizations that make up a "typical" forecasting process. 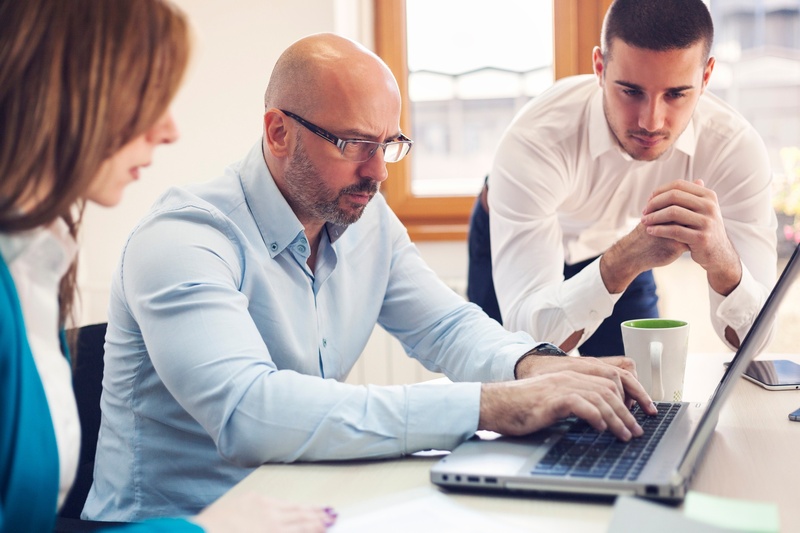 There are some simple steps you can immediately implement that will increase the health of your sales funnel and improve the accuracy of your team's forecast. Align your sales stages with buyer activity. Do your sales funnel stages and definitions align with what the sales person is doing, or what the buyer is doing? It should be a hybrid, with the sales person's actions supporting the buyer actions. Many sales organizations get a request for a demo, complete the demo, send pricing and wonder why their post-demo close ratio is so low. They immediately start to think it’s a problem with the demo process, and while it’s possible, it's more likely that a large percentage of the buyers aren't ready to make a purchasing decision yet. All too often, sellers treat all deals the same, following the steps of the funnel by focusing on the close post demo. Meanwhile, the buyer was still trying to figure out the scope of the problem and if change was necessary. The result: timelines get delayed or the buyer feels pressured and goes silent. Understand where the close date originated. Are your predicted close dates a guess from the sales person, or did it actually come from the buyer? When is the last time the sales person confirmed that the buyer is still working towards this date? You would be surprised how many times I've asked a sales person if the buyer was aware of the close date and the answer was no. If your buyers saw their opportunity records in the CRM, would they agree with the close dates on them? Use a common forecasting definition. What does high, medium or low mean? If this is a "gut feel" from the sales person, then your forecast will never be consistent since people's experience and subjectivity will vary. Instead, I suggest setting up criteria around your funnel stages and aligning the probability of closing with actions showing commitment from the buyer. If you offer a trial, were you aware of their expected outcomes? Did they achieve them? Are there multiple people with influence involved? Is the final decision maker identified and on board with the problem and the solution? Can you outline all internal steps that need to happen to finalize a decision, and can they be concluded in the forecasted timeline? Does staying in the status quo have a negative impact on the business? How well do you line up with their decision criteria? Most importantly, is the buyer(s) aware of the timeline and working towards it? As you identify and align activities specific to your buyer's decision process you will notice the more boxes you can check, the more likely the deal will close. It also helps focus the sales person on actions that help understand, influence and support the buyer as they finalize their decision process. Your forecast will vary. All the deals forecasted to close in the beginning of the period will change: some will fall out, some new ones will appear, and others will close as predicted. Understanding how much coverage you need to account for this variability is critical for meeting targets. Whether you need 2x, 3x or 5x the value of deals forecasted to close in your funnel, use your data to uncover what that number is and work on improving it using the steps above.